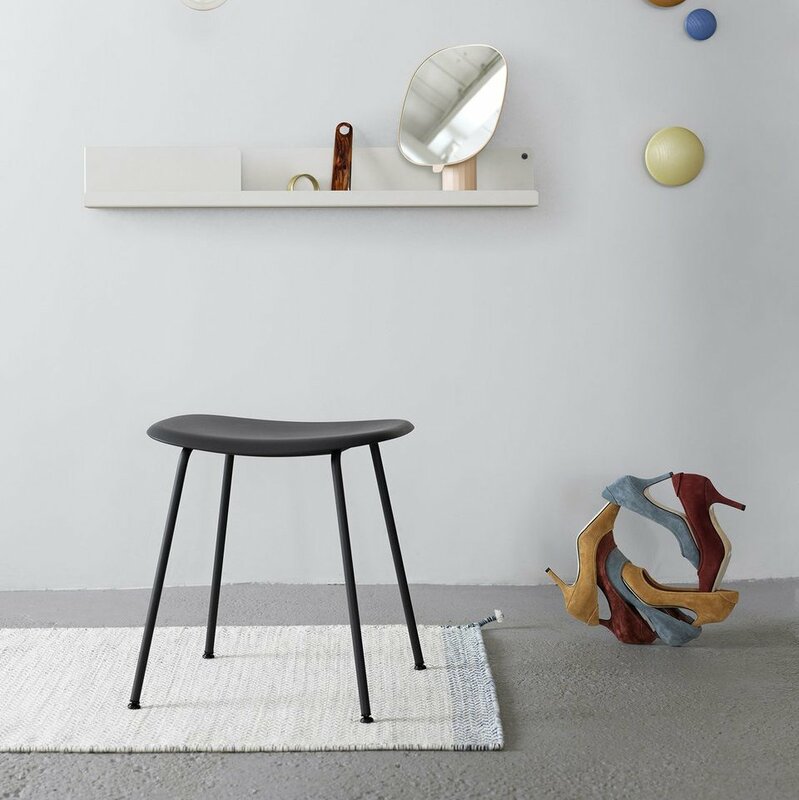 An intuitively attractive and characteristic stool that works as an extra chair in your dining room, living room, bedroom or in the hallway. The wood fiber and plastic blend is injected into the mold, forming the stool’s shell. Wood base is cut from solid oak wood and wet lacquered. Material: Shell consists of a wood and plastic composition, with up to 25% wood fibers. Silk leather from Camo Leathers. Wood base is made from solid, wet lacquered oakwood. The Fiber Chair family is partly made from anatural material – variations in color can occur.